The marketplace for jobseekers can be an intimidating place if you don’t have the right tools on hand. Of course, the same is true even if you do have the right tools but aren’t using them to their full potential. This is often the case with LinkedIn. The professional social platform is an incredibly powerful resource for anyone looking to make a career move. Using LinkedIn in the job search can help separate you from the masses, taking you from the black hole of applicants to an attractive job offer with a company you love. With that in mind, we’ve compiled our top LinkedIn job search tips below. Updating your LinkedIn profile is a crucial first step in your job search. A professional photo, a keyword rich headline and job descriptions, an updated skills section, and a host of recommendations will all help build a strong online presence. This sounds simple, right? Agreed. And yet, so many people host a weak profile with little more than a list of job titles and a pixelated profile picture. If by chance they happen to show up in a recruiter’s search, they’ll quickly get passed over. Instead, provide concise details about your responsibilities and accomplishments within your current and previous positions. Don’t forget to include any schooling or certifications, and volunteer work that may further showcase your skills and leadership. Finally, include a way for people to contact you in your profile, especially a personal email address where a potential recruiter wouldn’t feel like they were jeopardizing your current position. It’s simply not enough to update your profile and then sit there waiting for recruiters to get in touch with you. Being proactive is vital. And it starts with building your LinkedIn network. Before you start thinking that you don’t know enough people to really make an impact, think again. 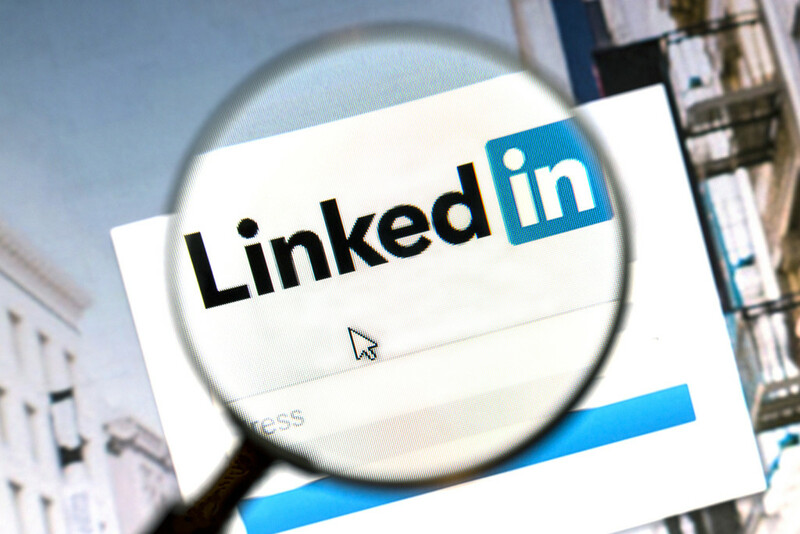 The power of LinkedIn does not necessarily lie in your first tier of contacts. The more people you connect with, the larger your overall network becomes, granting you greater visibility and opportunity. For example, say you find a company on LinkedIn that you’d love to work for, you might not know anyone who works there, but there’s always a chance someone in your network does. That’s when you can ask for an introduction and create a personal connection to the company. Build your network at every opportunity, both inside and outside your industry. Stay engaged with these connections instead of neglecting them; congratulate them if they start a new job or have an anniversary, and comment or “like” their status updates. If they attend any industry events or tradeshows you’re also attending, don’t hesitate to take the conversation offline. Finally, keep an eye on who views your profile. Add them to your network or start up a conversation. Adding your voice to the noise without being drowned out (or deafened) takes some skill, but it’s fairly straightforward to learn. First, make sure to join a handful of relevant groups (up to 50). If you’re unsure which groups to follow, check out someone else in your industry whose career path you aspire to. See what groups they belong to and start with those (you can always leave them later if they’re not the right fit). Make a regular effort to join discussion, answer questions, and add to the overall conversation of these groups. Contributing valuable insight and honest opinions will help you gain more visibility while also establishing credibility. Also, take the opportunity to share interesting links to your status updates or comment on other people’s updates. Any action you take will allow your profile to show up in your connections home feed. LinkedIn gives you a great inside look into the companies you’re thinking about applying to. Follow their company pages to stay updated with their news, updates, openings, and more. “Like” or comment on these updates as appropriate. It is also through company pages that you can learn about the leaders and stakeholders of an organization. In short, it’s your number one stop for in-depth company research, which is key for customizing your resume and cover letter, and for arming you with helpful information should you land an interview. LinkedIn hosts a “publishing platform” where you can post long-form content. This is the perfect place to craft a short article in which you can share your industry insights, tips and advice, or opinions about the latest changes in your field. This helps you gain credibility and also increases your visibility. Follow up with people who share or comment on your post, and take advantage of more opportunities to build your network. At the end of the day, using LinkedIn in your job search is just one tactic of many to help you find your dream job. It’s a powerful resource to get you ahead in your professional networking. At JDP, we’re committed to helping our candidates achieve successful careers. Click here to search our available jobs today. 4 reasons your interview stunk Does Cultural Fit Really Make a Difference in Hiring?